Valdine lost her leg as a result of her injuries during the earthquake. She is now a happy healthy little girl that wants to become a dancer. 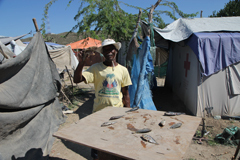 I am bursting with news about my recent trip to Haiti! 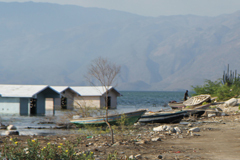 You won’t believe the difference your prayers and support are making for these people who were devastated by the earthquake and its after effects. 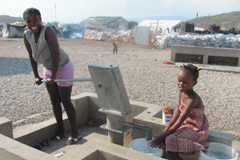 While in Haiti with Cherise and our children, I witnessed a miracle . . . one that God used you to help make happen. Two years ago during our Corporate 21-Day Fast, God placed the vision on my heart to feed hungry children, widows and orphans. That vision became our Mission- Bread of Life effort. And God led us to Bobby and Sherry Burnette who already had a well-established ministry in Haiti. Because of the generosity of friends like you, within six months, we were sending them shipments of 270,000 meals each month. 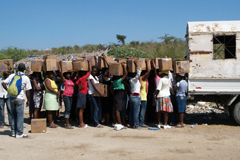 We doubled our commitment and the first shipment of 540,000 meals arrived one week before the devastating earthquake hit Haiti in January 2010. We are feeding hungry and homeless earthquake victims, but most importantly, we are sharing the love and hope of Jesus Christ. We walked through Kingdom Connection Village – it is almost complete and families will soon be moving in! 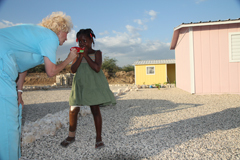 Through your compassionate giving, together, are helping to build 100 homes for the people of Le Tant. But the job isn’t done. Many of the people that Bobby and Sherry minister to live in outlying areas. They must get the life-saving resources to those in need. 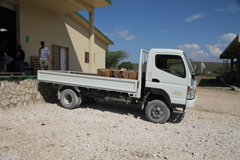 They need reliable flatbed trucks to deliver food, medical and building supplies… and even transport people. These trucks will save them valuable time and effort and will help them make the most of your support. Along with two trucks, we also want to give these people the gift of clean water by providing funds to drill two wells in Kingdom Connection Village. 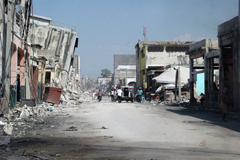 Please pray about what God would have you do to help keep hope alive and growing in the lives of the people in Haiti. 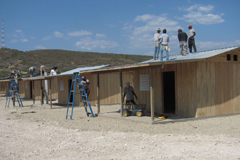 Continue providing 540,000 meals a month to the hungry in Haiti. 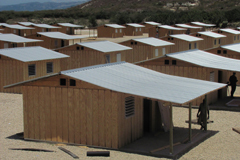 Provide much-needed flatbed trucks to assist Bobby and Sherry in distributing meals, building supplies and more. Provide two wells in Kingdom Connection Village for a supply of clean water. 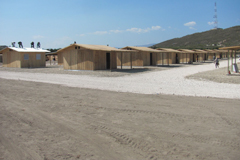 Support our ongoing efforts to speak life to the hurting in Haiti and beyond. And, most importantly, share the hope and love of Jesus Christ with those who are spiritually hungry. God uses each effort to open doors and hearts. Many are coming to Christ in the midst of their desperation. Thank you for all you do to be God’s miraculous hands and feet to those in need in Haiti and beyond. You know, when we started feeding people through this ministry, it was just a small effort. But God had a bigger miracle in mind. He took what we gave and multiplied it to reach people all over the world. What a miracle to see food being multiplied, lives being changed, families being healed and blessed as a result of people like you. Remember “we can’t do everything… but we can do something!” Prayerfully consider what God would have you sow to help further our efforts to feed hungry bodies with physical food and feed hungry souls with spiritual food. As you allow God to work through you to bring miracles into the lives of others, I believe He will do the same for you.